Here's a pic pedrocorreia made me on DA a while ago. 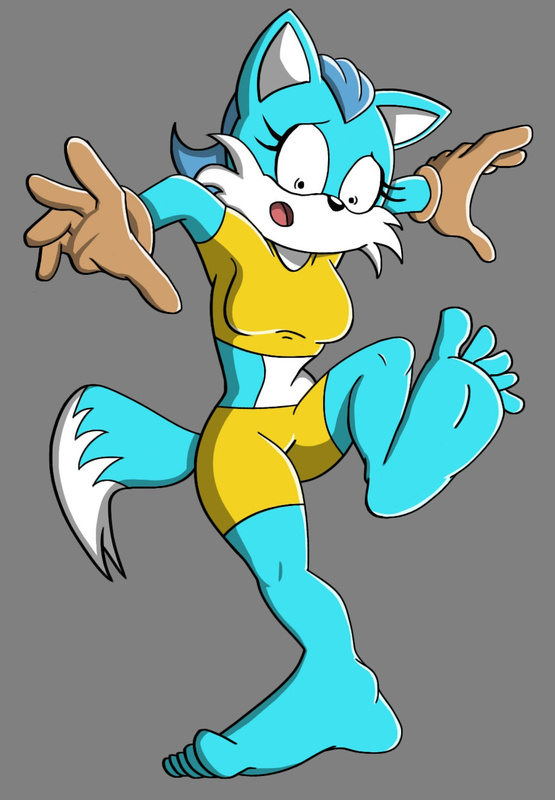 It's my character Iris the Fox with a foot growth problem. As you can see, she's quite shocked to see her feet grow a lot.